Fresh insights into the genetic code of sheep could aid breeding programmes to improve their health and productivity. Scientists have mapped which genes are turned on and off in the different tissues and organs in a sheep's body. Their findings shed new light on the animal's complex biology, including insight into the function of genes linked to immunity and meat quality. Researchers say the insights could eventually inform animal breeding programmes aimed at improving farmers' stocks. Sheep have more than 20,000 different genes but not all of these are expressed in each tissue type in the body. The team focused on genetic material called RNA, which is produced as an intermediate step when DNA code is translated into the proteins and molecules that make up cells and tissues. RNA serves as a functional read-out of exactly which genes are expressed in which tissues at any one time. 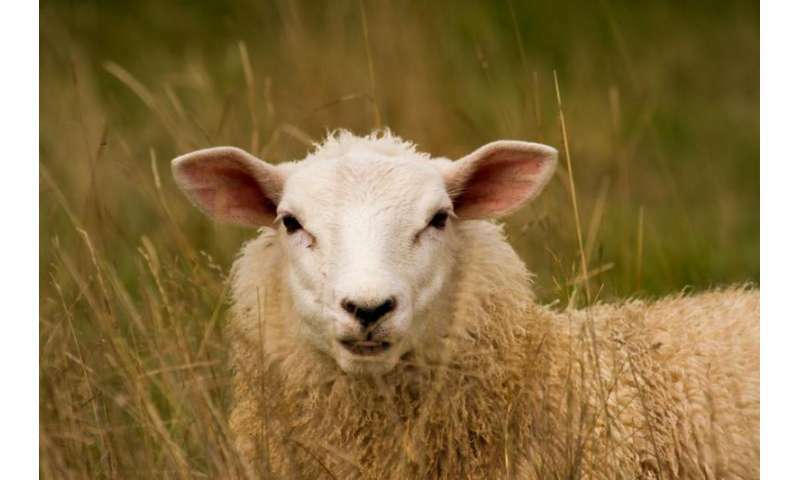 Researchers at the University of Edinburgh's Roslin Institute analysed the total RNA produced in each tissue of the sheep's body. Their results represent a major step towards understanding how the sheep's genetic information influences its physical traits. The findings also shed light on the function of hundreds of genes whose role was previously unknown. "This is largest resource of its kind. Ongoing comparative analysis will provide insights to help us understand gene function across all large animal species, including humans," says Professor David Hume. An online database has been created from the results, which is freely accessible to scientists working anywhere in the world. The researchers hope this resource will help to further understanding of the sheep's genetic make-up. The project is a major contribution to the global Functional Annotation of ANimal Genomes (FAANG) initiative. The study, published in PLOS Genetics, was supported by the Biotechnology and Biological Research Council (BBSRC). The Roslin Institute also receives strategic funding from the BBSRC. "Sheep are a central part of the rural economy in the UK and are essential to sustainable agriculture across the globe. The new resource represents a major step towards understanding how the sheep's genetic information influences its physical traits, and provides a foundation to use this information to generate sustainable improvements in the productivity of livestock animals," Dr Emily Clark. How much do you know about Dolly the Sheep?